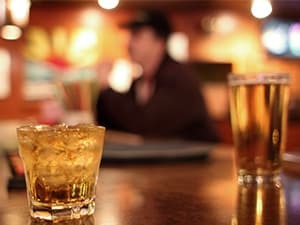 What are the Side Effects of Alcoholism? In general terms, alcohol abuse can be defined as using alcohol in a manner or situation that it is not meant to be used. By this definition, any use of alcohol by teens would be abuse, because teens are not legally allowed to buy or consume alcohol. However, by the time they are seniors, most American high school students will have tried alcohol . Alcoholism among teens is a serious issue not only because it is so easily obtained, but also because adolescence marks a critical period in the brain’s development, and damage that occurs during this period may be irreversible. Teen alcohol addiction can be evident in psychological and physical symptoms that may be mistaken as part of adolescence, rather than indicators of an addiction. For this reason, teens may be addicted to alcohol for a prolonged period before parents or other adults notice a problem. Teen alcohol abuse is simply the consumption of alcohol by teens. Alcohol abuse at any age typically leads to an addiction, because as you continue to regularly consume alcohol, your body begins to need larger amounts to achieve the same effects. Many teens may consume alcohol once or twice and not become addicted, but the transition from abuse to dependency is often rapid and hard to monitor. When you can no longer control whether or not you use alcohol, then you have an alcohol addiction. A teen who is addicted to alcohol becomes so used to drinking that he feels compelled to continue using, even if he knows there will be negative consequences as a result of that use. When a psychological addiction to alcohol is formed, the cravings for alcohol become emotionally based instead of just physical. You may feel a desire for alcohol that is so intense, that you will do anything, even illegal activities, to get it. This compulsion can turn into panic or anxiety if you cannot obtain enough alcohol to satisfy your desire. Alcohol addiction can have several negative long-term and short-term physical side effects. Some of these side effects may be irreversible. For example, alcohol, when consumed in large amounts, can result in permanent neurological damage. If you are looking for advice about teen alcohol abuse, we can help. Call 1-888-287-0471	Who Answers? to discuss your options for treatment.